The community boasts a water sports centre on the River Creuse close to the camping site in Descartes. The centre is for those who want to try sailing on the calm waters, and also kayaking. 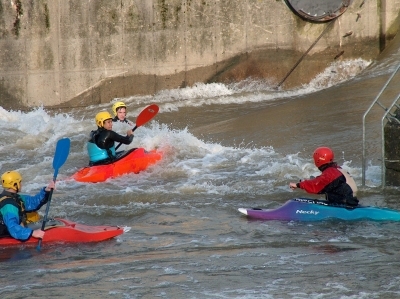 A facility to accomadate kayaking and canoeing has been created in Descartes. This club offers introductions to kayaking, sailing, organized group outings and kayak practices, kayak polo and canoeing rentals.